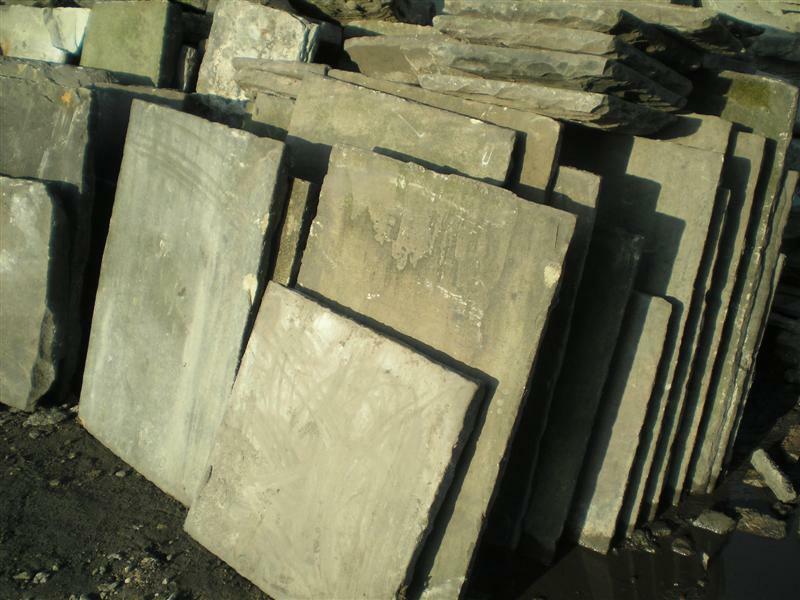 Reclaimed thin old York flagstones, 1 1/2ins to 3ins thick Yorkstone flags, smooth finish, top quality, not mill flags, for interior or exterior use. 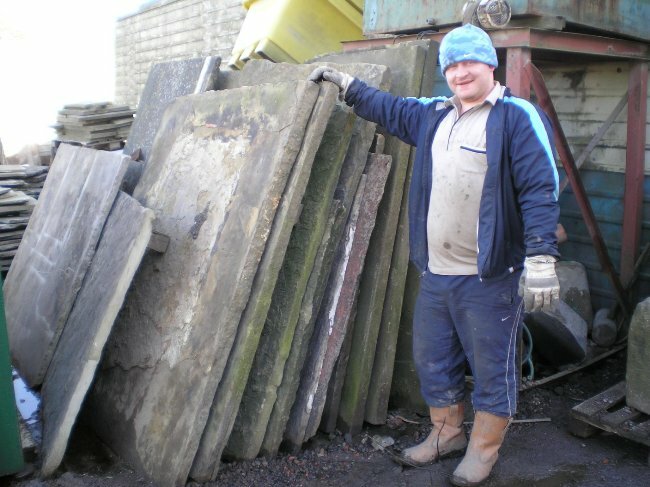 All our flags are hand picked, and are random in size with pallets marked to identify them, and to agree with delivery notes. 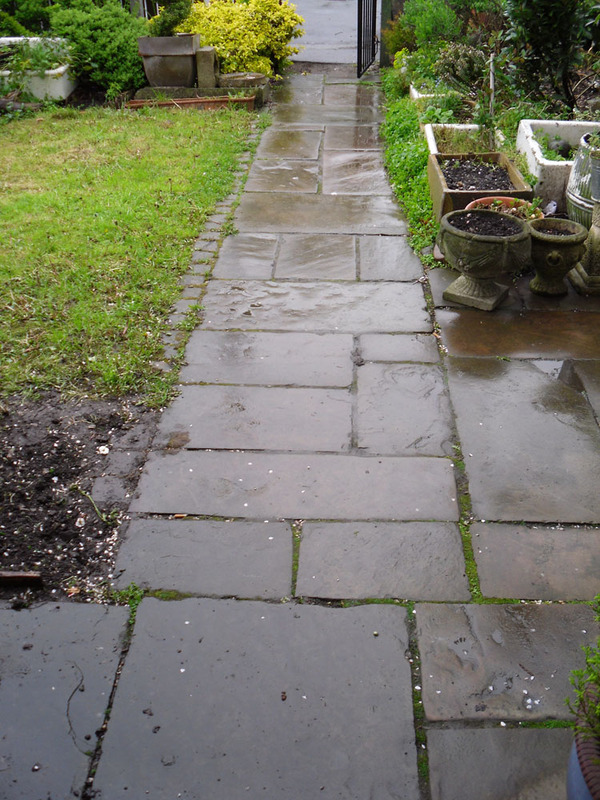 Sandstone setts or cobbles for sale, clean, random sizes, York stone and grit stone. 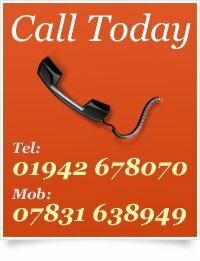 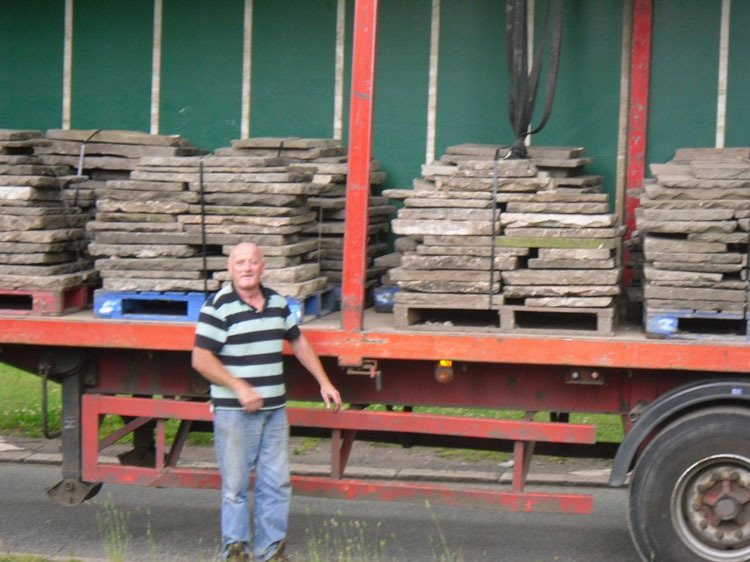 We supply cobble setts and flagstones to both retail and trade customers all over the country, and often deliver large quantities on our own transport.